Your smile is an amazing thing – it brightens up your face, makes you look younger and can even make you feel really good. Strong and healthy teeth are important if you want to achieve a great smile that you can enjoy for a lifetime. Unfortunately, not all of us are born with pearly whites that always look great and strong. While a really good smile with complete and healthy teeth is everyone’s goal, that doesn’t mean you should simply let that goal go if you’re already missing one or more teeth. In fact, you should do something about it now! 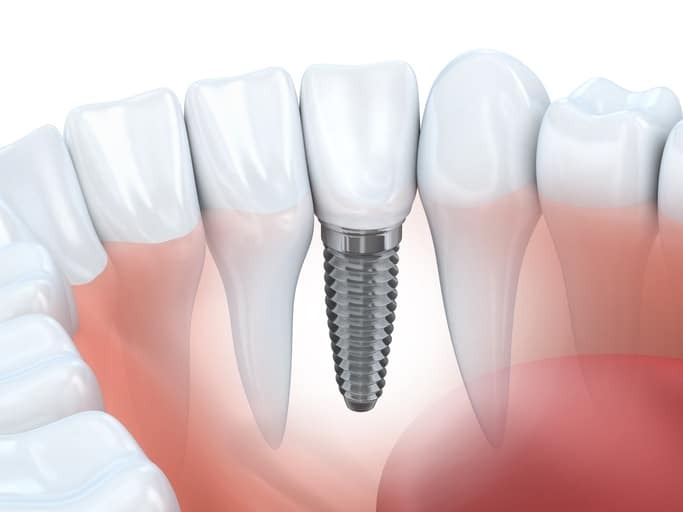 For missing teeth, dental implants should definitely be considered. Having a beautiful smile helps keep one looking younger. See, your teeth are part of your overall look – your cheeks, your lips, and your facial skin all look tauter when your teeth are intact. But when you lose teeth, you also lose that great bone structure. That’s why the skin around one’s mouth, as well as the cheeks, appear saggy and even wrinkled when a person doesn’t have teeth. A lot of people who have had dental implants to replace their missing teeth also enjoy a younger and fresher appearance on top of their improved smile. Dental implants can truly transform one’s looks and life! Those who are either missing some of their teeth or wearing dentures often hold back when it comes to eating, especially if they are in public. Also, they often choose food that’s softer and easier to chew, even if they are not the healthier choice. Who wants to worry whenever they have a meal? No one wants that. However, missing teeth and wearing dentures make chewing difficult. Dental implants, on the other hand, act like natural teeth because they are directly anchored into the jaw. What that also means is that this procedure has no impact at all on the surrounding teeth which are in perfect health. We cannot deny that a healthy and beautiful smile helps one create a really good first impression. Do not miss out on great career opportunities and even relationship potentials because of this. Dental restorations can restore your lost confidence and give you the boost you need to take charge of your life once more. Call Pickering Square Dental and schedule for a complimentary consultation to discuss your specific situation and treatment options.